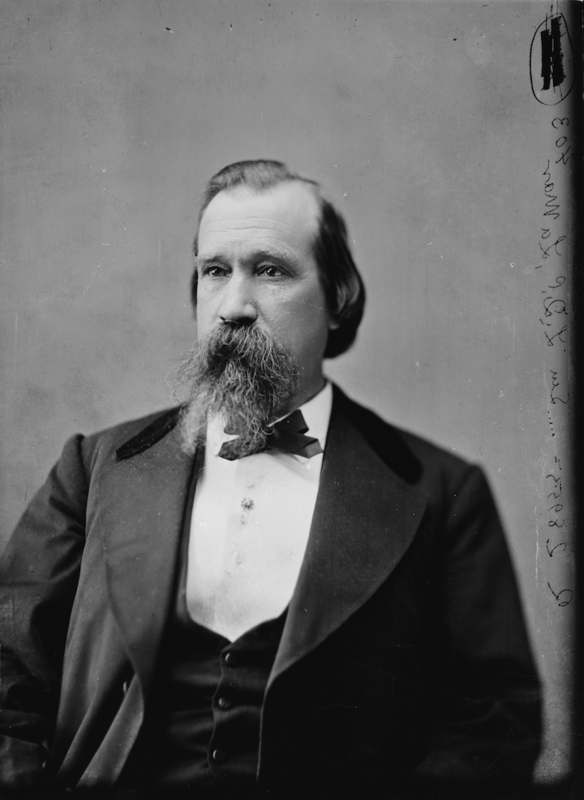 Lucius Quintus Cincinnatus Lamar is one of only two men in history to serve in the US president’s cabinet, in both the US Senate and the US House of Representatives, and on the US Supreme Court. He is also the only Mississippian ever to serve on the Court. In his Pulitzer Prize–winning book, Profiles in Courage, John F. Kennedy featured Lamar and seven other prominent American leaders, among them John Quincy Adams, Daniel Webster, and Sam Houston. Lamar was a national figure with celebrity appeal, considered by many to be one of the greatest speakers of the nineteenth century. His efforts to promote national reconciliation after the Civil War included an eloquent eulogy for Massachusetts senator Charles Sumner, a Radical Republican, and Lamar’s transformation from a slave owner and reluctant secessionist to a defender of black civil rights and education is one of the great American stories of personal redemption. L. Q. C. Lamar, the fourth of eight children of Lucius Quintus Cincinnatus Lamar and Sarah Williamson Bird Lamar, was born in Putnam County, Georgia, on 17 September 1825. His uncle, Mirabeau B. Lamar, served as president of the Republic of Texas. Lamar graduated from Emory College, where he met his future father-in-law and mentor, Augustus Baldwin Longstreet, then serving as the school’s president. Lamar married Virginia Longstreet in 1847, and they moved to Oxford soon after her father became president of the University of Mississippi. A lawyer and professor at the university, Lamar first won election as to the US Congress in 1857. Sometimes mistakenly referred to as a fire-eater because of his impassioned speeches defending the South’s point of view, Lamar knew the destructive consequences of secession and advised Mississippi’s governor and the rest of the state’s congressional delegation against it. Nevertheless, he resigned from Congress in 1860 after secession became inevitable. Expressing concern that the more radical elements supporting secession might experiment with new models of government, Lamar assumed responsibility for drafting Mississippi’s ordinance of secession. During the Civil War Lamar served as a colonel of the 19th Mississippi Infantry and earned praise for heroism under fire at the Battle of Williamsburg before resigning because of poor health. Lamar subsequently served as Confederate minister to Russia and special envoy to France and England and as a judge advocate for the Confederacy and witnessed Gen. Robert E. Lee’s surrender at Appomattox. In 1872 Lamar became the first former Confederate and Democrat from Mississippi elected to Congress; five years later he was elected to the Senate. Lamar promoted reconciliation through important symbolic actions such as his famous eulogy of Sumner, negotiated the Compromise of 1877, and was the only southerner to support a pension for an ailing and broke Ulysses Grant, positions that at times invoked the wrath of constituents still bitter over losing loved ones and homes in the war. But Lamar also encouraged the South to accept the new social realities by taking the extraordinary step of publicly encouraging the appointment of a black cabinet member (though almost a century passed before an African American would gain that distinction). In addition, Lamar defended black voting rights in general and specifically opposed James Z. George’s 1890 push for a new state constitution with the express purpose of disenfranchising blacks. Lamar also joined a few other southerners in supporting direct federal aid to local public schools, emphasizing the benefits for the former slaves. These positions were quite radical for a leading white southern politician of the time. Responding to frequent yellow fever epidemics, Lamar broke with convention again by introducing bills giving the federal government responsibility for public health instead of relying on the various state health boards, efforts that eventually led to the creation of what is now the US Public Health Service. In 1884, when Grover Cleveland became the first Democratic president since the Civil War, he appointed Lamar secretary of the interior. While in office, Lamar introduced a distinctly more progressive policy of relations with American Indians and fought to protect their lands from homesteading. His environmental policies, such as protecting Yellowstone National Park, were enlightened for the time and helped prepare the way for the first national conservation policy under Theodore Roosevelt a few years later. In 1888 Cleveland named the Mississippian to serve on the US Supreme Court. Lamar died on 23 January 1893 and is buried in St. Peter’s Cemetery in Oxford. His home in Oxford has been restored and is open to the public as a museum.